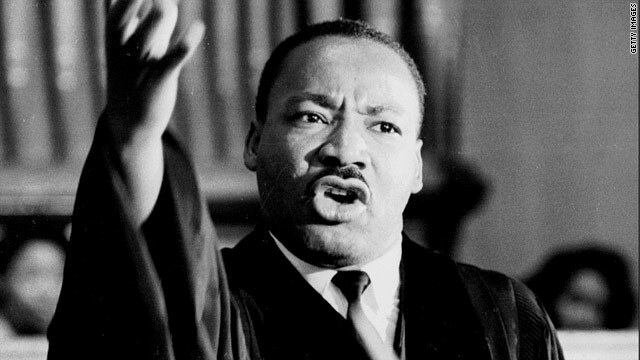 What did Reverend Martin Luther King think about homosexuality? Martin Luther King Day 2014 will be filled with politicians, pundits and stories about his “I have a Dream” speech. Dr. King was a pastor, a man of faith, a believer in God the Almighty first and foremost. Rev. Martin Luther King Jr. was writing an advice column in 1958 for Ebony magazine when he received an unusual letter. We know what King thought about race, poverty and war. But what was his attitude toward gay people, and if he was alive today would he see the gay rights movement as another stage of the civil rights movement? That’s not the type of question most people will consider on this Monday as the nation celebrates King’s national holiday. Yet the debate over King’s stance toward gay rights has long divided his family and followers. A great success of liberal groups has been to disconnect the work of Dr. King with the fact that he was a minister of the Gospel of Jesus Christ. People love to call King “Doctor” but rarely do they refer to him as “Reverend”. We don’t hear a great deal mentioned about King’s ministry and his sermonizing from the Bible. There was once a day when “social justice” and politics were closely tied with the “black church”. Based on the fact the King was a Bible-believing Baptist (and assuming he didn’t subscribe to the private interpretation methodical, choose-your-own-adventure brand of Christianity), we can deduce that he probably did not condone homosexuality as a lifestyle. Although, Liberals will point to the fact that one of King’s top advisers and organizers for the March on Washington, Bayard Rustin, was an openly homosexual man as proof positive that King was in favor of homosexual marriage. The reality is, this example merely shows us that King was in favor of showing an attitude of love towards all people, regardless of their sexual orientation. https://drrichswier.com/wp-content/uploads/t1larg.mlk_.jpg 360 640 Dr. Rich Swier http://drrich.wpengine.com/wp-content/uploads/logo_264x69.png Dr. Rich Swier2014-01-20 07:48:362014-01-26 08:06:49What did Reverend Martin Luther King think about homosexuality?